Elana has been integrating mindfulness with psychotherapy for over 30 years. 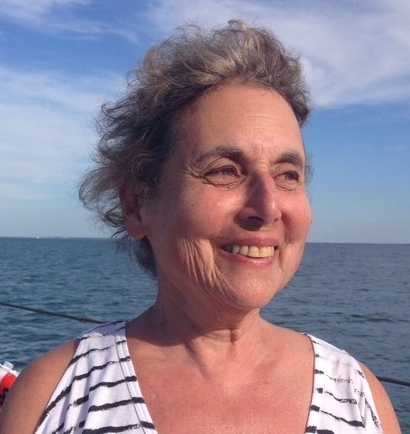 Elana Rosenbaum, MS, MSW & LICSW, is a leader in the clinical application of mindfulness meditation to cancer care and a pioneering teacher of Mindfulness-Based Stress Reduction at the Center for Mindfulness, the University of Massachusetts Medical School. After she was diagnosed with non-Hodgkin's lymphoma in 1995, her ability to embody mindfulness in the face of adversity led to the development of a mindfulness-based intervention for bone marrow transplant patients at the University of Massachusetts Medical Center, Emory University, and Dana Farber Cancer Institute. She is dedicated to maintaining the integrity of mindfulness and making it available, thereby bringing a yes to life and all that’s in it. Being Well (even when you're sick): Mindfulness Practices for People Living With Cancer and Other Serious Illness. Elana has a private practice in psychotherapy in Worcester, Massachusetts and is a sought-after mindfulness coach, teacher, speaker, workshop leader and research consultant. She has been featured in "Chronicle" on CBS and mentioned in many magazine articles including Yoga Journal, Health, Coping, and the PBS audio series, "Walking through the Storm".